Never before I had such a mixture of anticipation and skepticism in advance of a trip. Although I knew what I´d expect there. 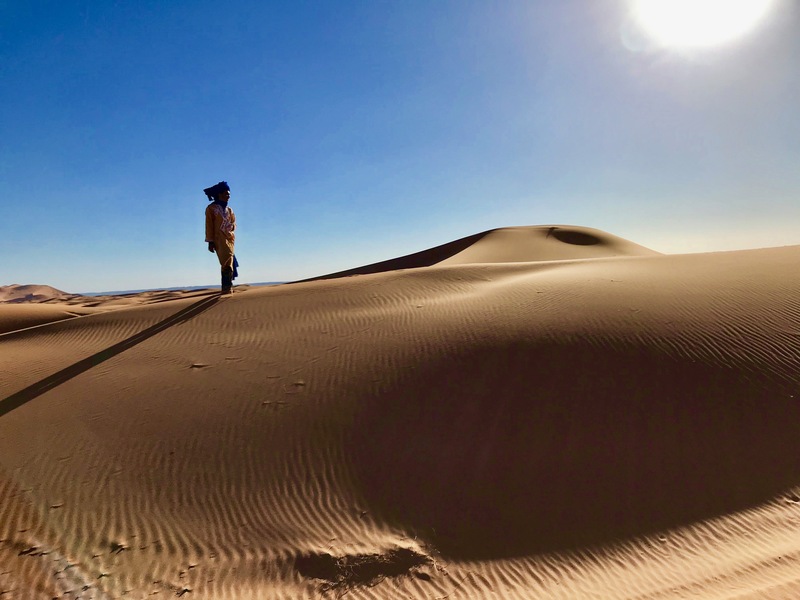 Four days away from civilization, far away from mobile internet in the middle of nowhere between Morocco and Algeria. In advance, I was informed that in the camp, there´s a different kind of shower than I am used to. And a real hotel room? No. Spa, pool, restaurant? Unavailable. 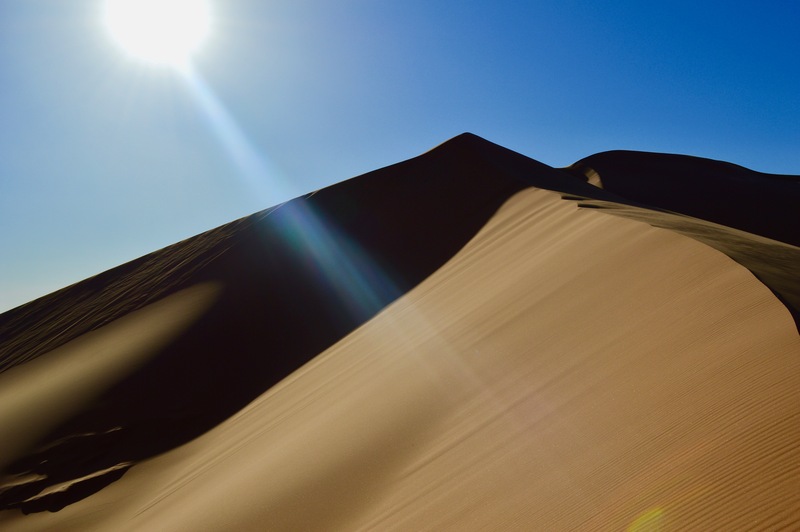 However, there are extremely stable tents, pure sun and sand, sand, sand. 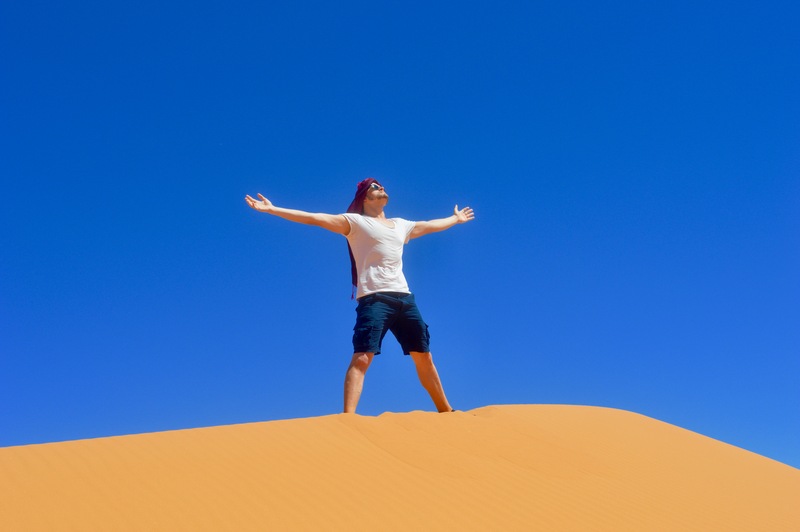 As you may know, I am anything but a backpacker. However, I was surprised by myself that it was exactly this experience that excited me so much that I finally started the journey. 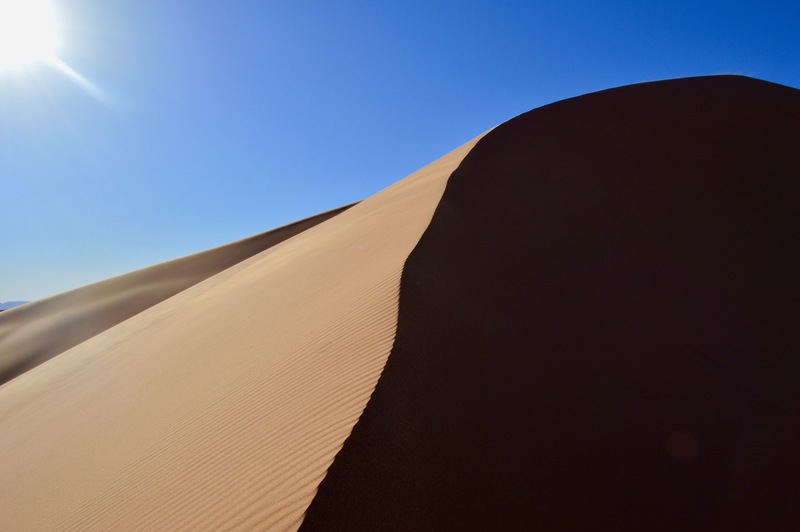 The desert camp can be entered through the small town of Merzouga. 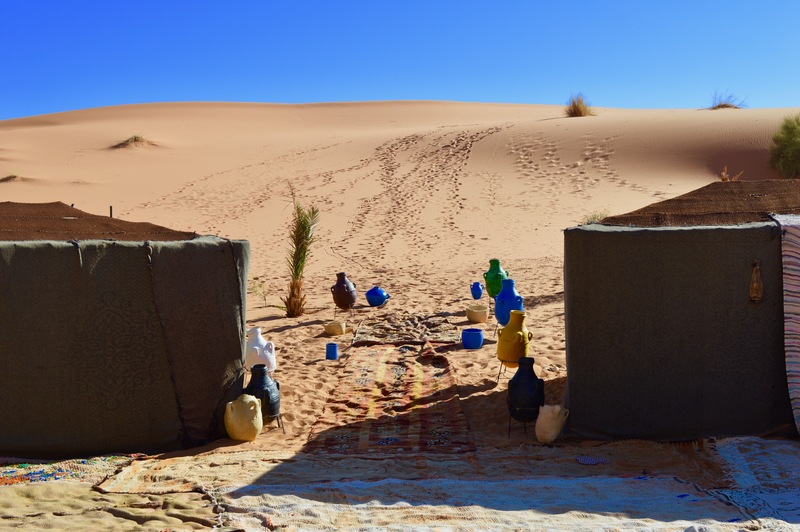 This village on the edge of the Sahara can be reached via two airports. 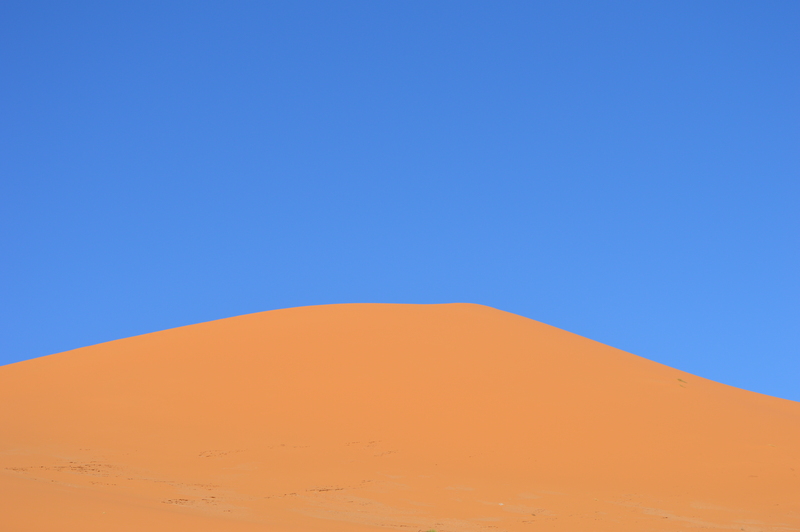 I flew from Marrakech to Ouarzazate, from where I reached the Sahara by minibus after about 5 hours. 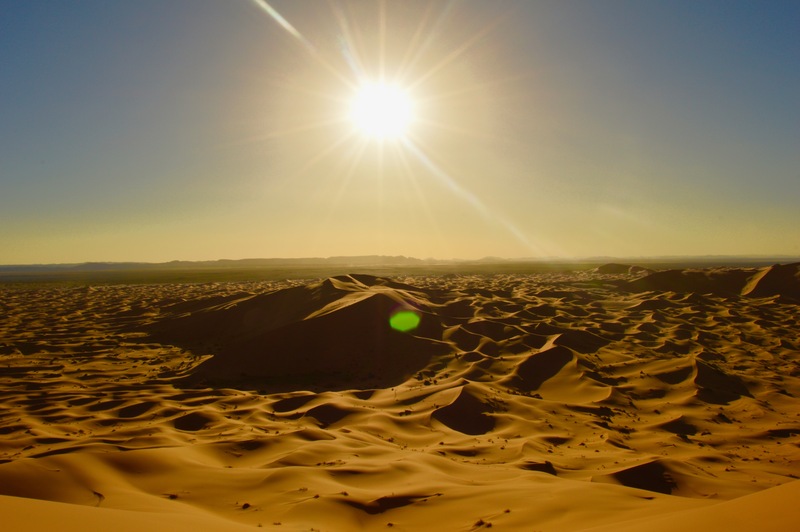 Alternatively, Royal Air Maroc offers a direct flight from Casablanca to Errachidia, reducing the journey by minibus to just 1.5 – 2 hours. 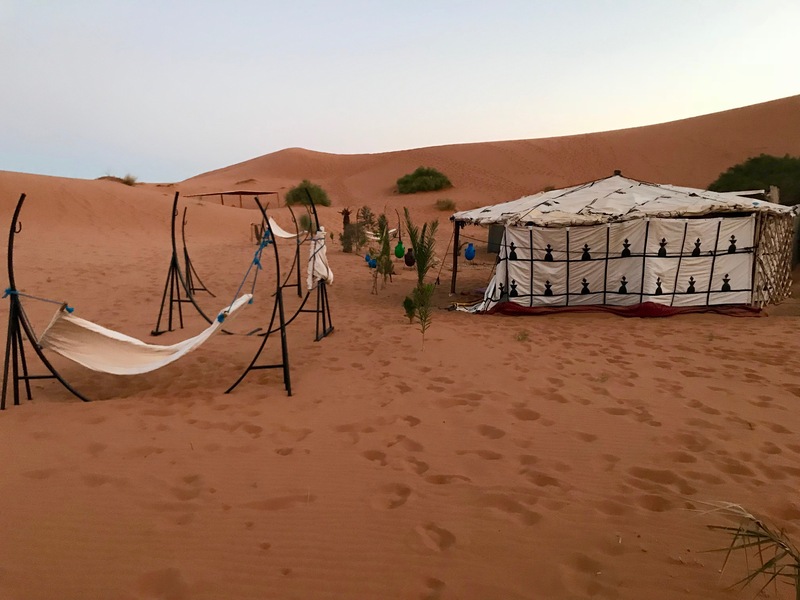 Before the approximately 2-hour journey to the camp starts on the back of camels, overnight stays are available in hotels directly at the gateway to the Sahara, mainly due to the time-consuming arrival and departure. 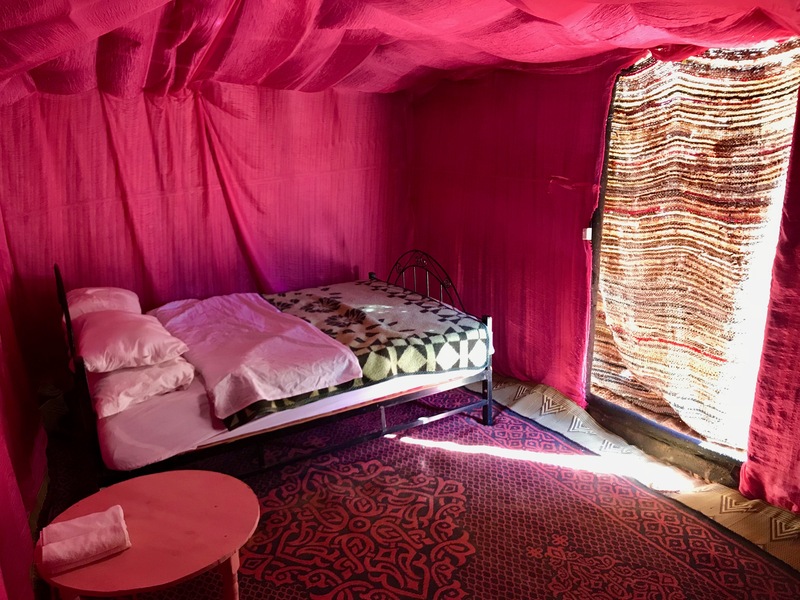 I stayed the night before at the Hotel Kanz Erremal, before returning to Marrakech, I slept in the Hotel Dar Lola, right next to my recent hotel. 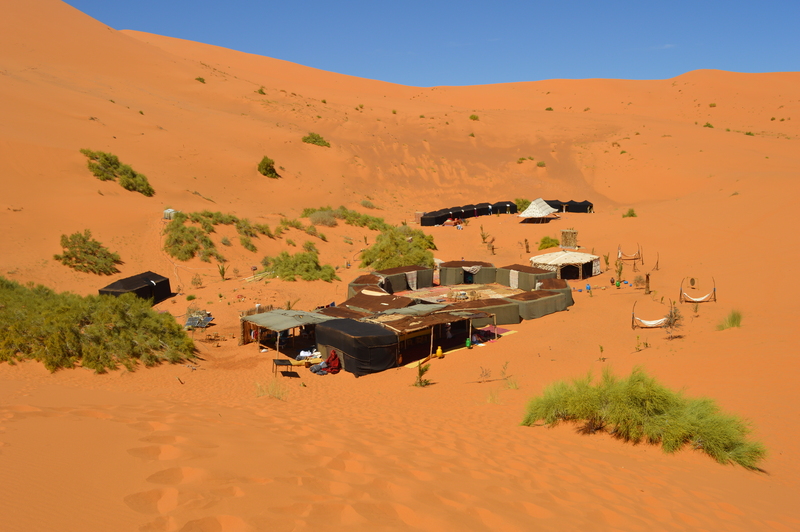 The camp is located eight kilometers in the east of Merzouga, in the valley of a large dune. The 8 tents are set up in a circle; 7 with two single beds and one tent with a double bed. 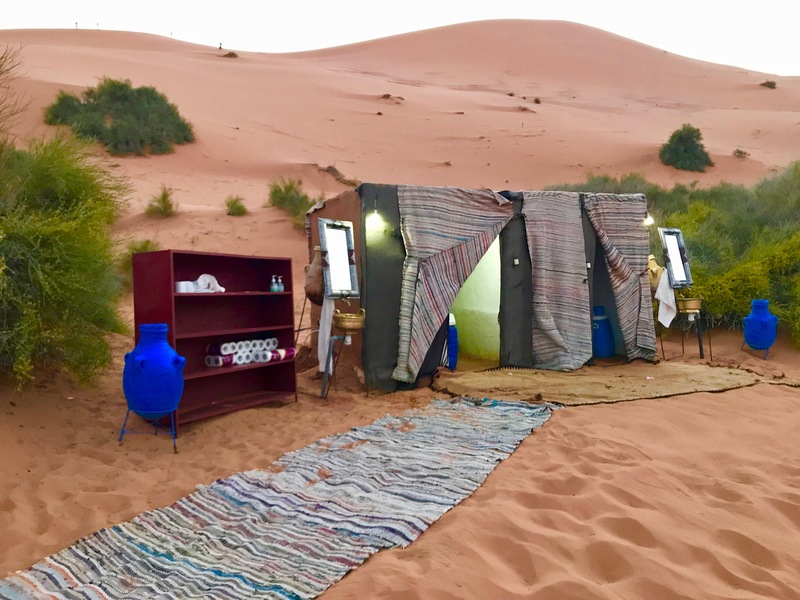 Inside, the tents are lovingly decorated with colorful towels and a stain carpet is used as a door, as well as heat protection. In total, three toilets are available, each equipped with a light bulb as a lamp and even there, a stain carpet is used as a door. 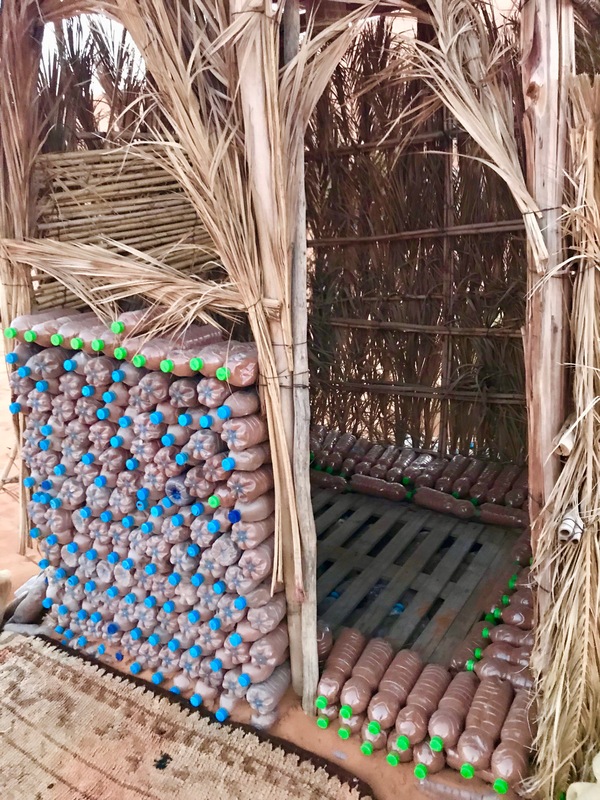 The shower was built in a very special way – the floor is a euro pallet, the side walls were made of palm leaves and bottles of water, filled with desert sand. It should be mentioned, that the shower is used with water, stored in a small tank. It´s heated up by the sunlight and the water temperature -at least when I´ve visited the camp- was a bit too cold for a long shower. 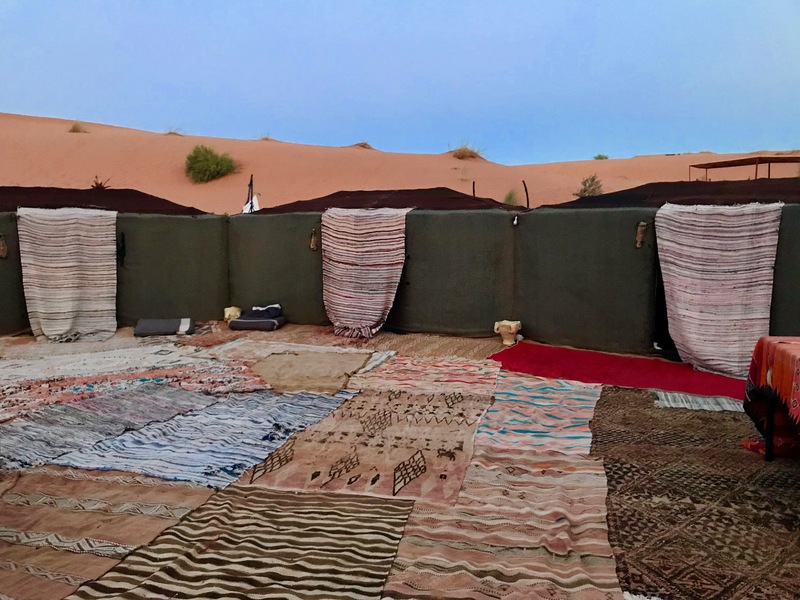 For yoga exercises, next to two roofed tents, a gypsum platform is available, which was built on a dune above the camp. 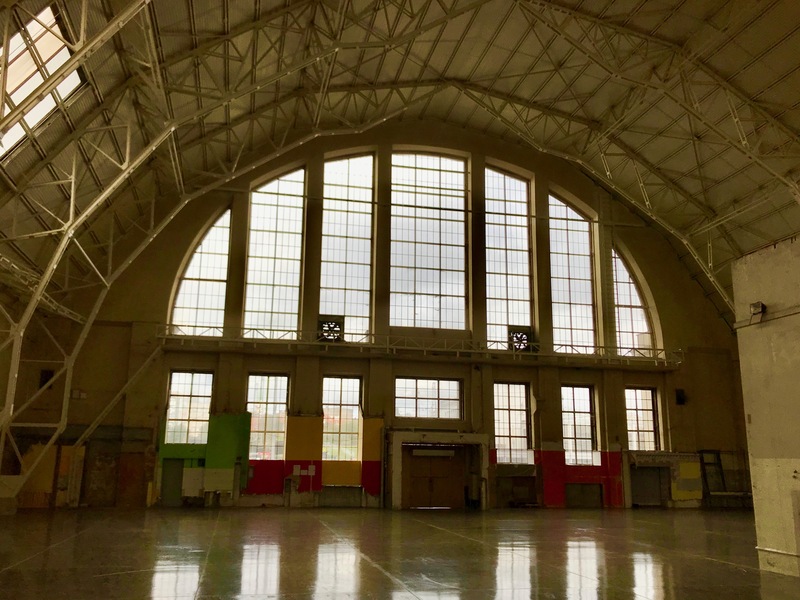 Fresh food is daily cooked in the camp and all-vegetarian meals are served as full board. From fresh fruit, „Berber pizza“, various types of vegetables in sauce and „sweet noodles“, the food is varied. As ginger-, sage- or mint tea, as water bottles are available throught the day. 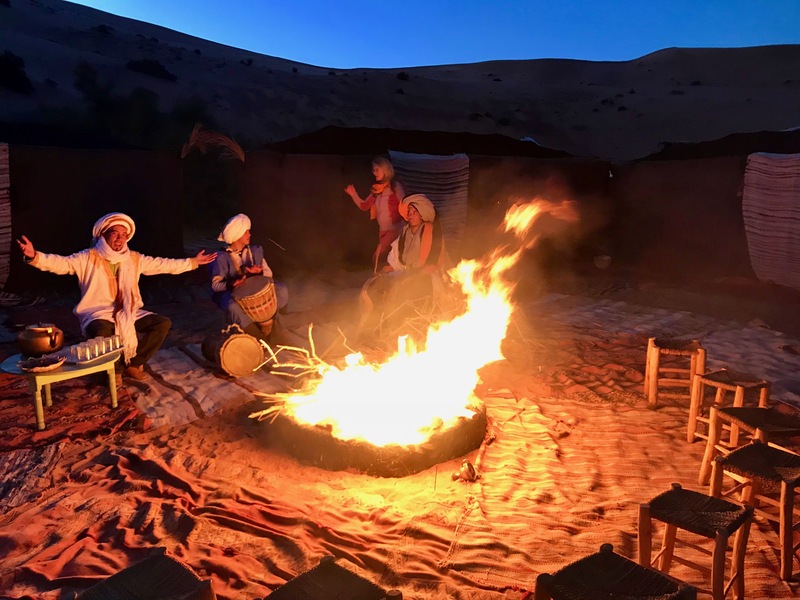 Spending some nights in the desert camp isn’t comparable with a stay in a 5-star hotel, of course. 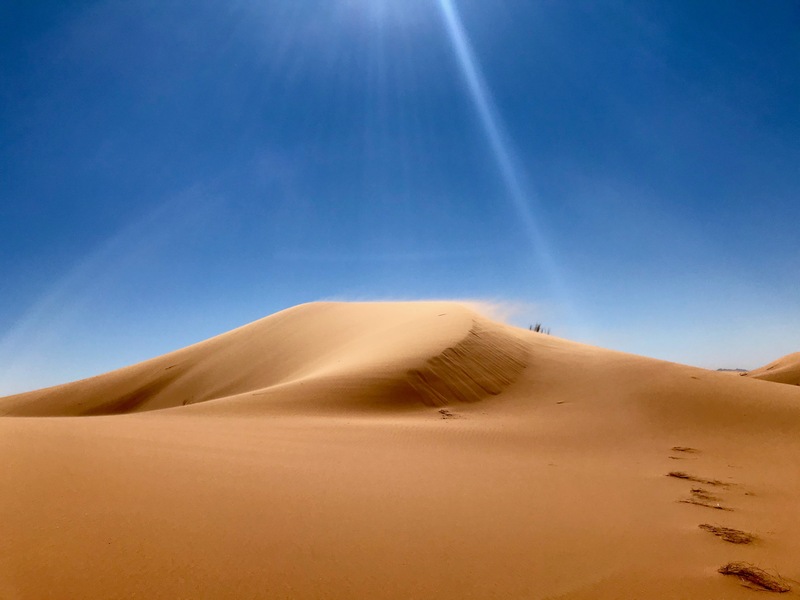 But all the positive experiences and the intercultural exchange with the camp members, far away from mobile internet, Facebook and push-notifications, have never been so intense to feel than here in the middle of the Sahara desert.